Just Food For Dogs has announced a voluntary recall of some of its cooked frozen dog food products after green beans in some of its Turducken tested positive for Listeria monocytogenes. The food was tested after a customer’s dogs became sick with vomiting and diarrhea after eating it. Both dogs made a full recovery within a day when their owner switched their diet to another Just Food For Dogs product. This is the first recall in the history of the company, which makes hand-crafted food for dogs. Although severe disease from Listeria monocytogenes is rare in dogs, it can be more concerning for humans, Buckley said. It can cause serious and sometimes fatal infections in young children, frail or elderly people, and others with weakened immune systems. Just Food For Dogs is preparing new batches of these products without the green beans that will be available by Jan. 17 at all of its locations. If you purchased one of the recalled products, stop feeding it to your dog and dispose of it. Upon request, Just Food For Dogs will reimburse customers who bought these products that were made Nov. 1, 2017 to Jan. 14, 2018. 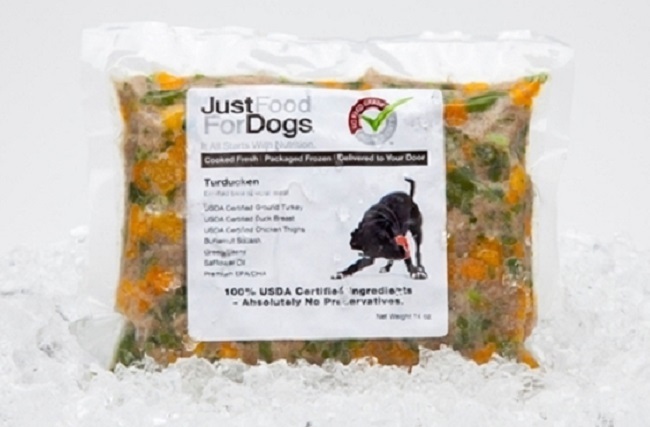 Customers with questions about the recall can email support@justfoodfordogs.com. Include the first and last name on your Just Food For Dogs account.